This simple Italian Salad recipe is quick and easy to make, tossed with a zesty Italian vinaigrette, and can easily double as a side salad or main dish. Back in my picky-eating days, I used to avoid salads like the plague. But that all changed my freshman year of college when a group of friends squeezed into my old VW bug one night for a road trip to have dinner in the “big city” at — yes — the Olive Garden. It was the hot new restaurant in Wichita circa the early 2000s, and their famous unlimited soup, salad and breadsticks combo was every broke college student’s dream come true. I remember becoming an instant fan of their creamy Zuppa Toscana soup, and went big on those hot and soft breadsticks each time they were passed around. Then — probably to impress some boy in the group — I remember impulsively following suit and adding some of their famous Italian green salad to my plate as well. And 100% to my surprise, I loved it!!! Ever since, I’ve been a huge fan of Italian salads and love experimenting with different ways to make them. But I have to admit there will always be a special spot in my heart for my first love — that dreamy throwback Olive Garden-style Italian salad. 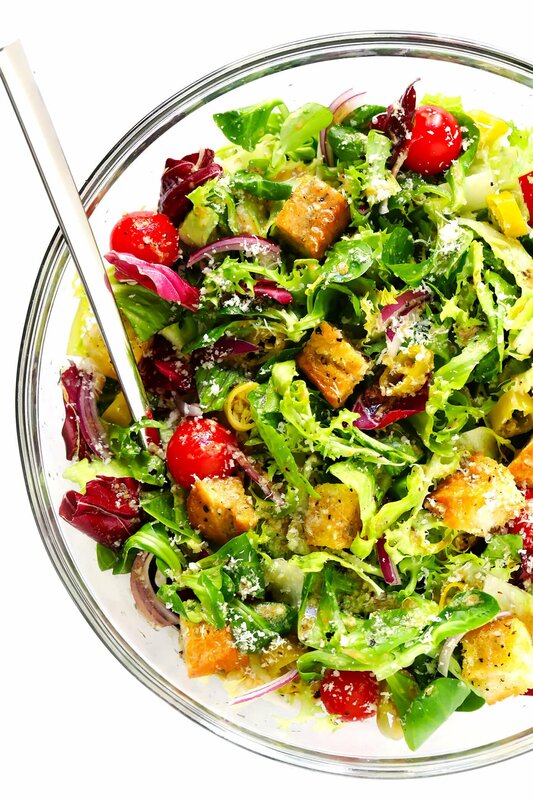 Fresh greens, zesty croutons, crisp red onions, juicy tomatoes, mild pepperoncini peppers and freshly-grated Parmesan are just an unbeatable combination every time! 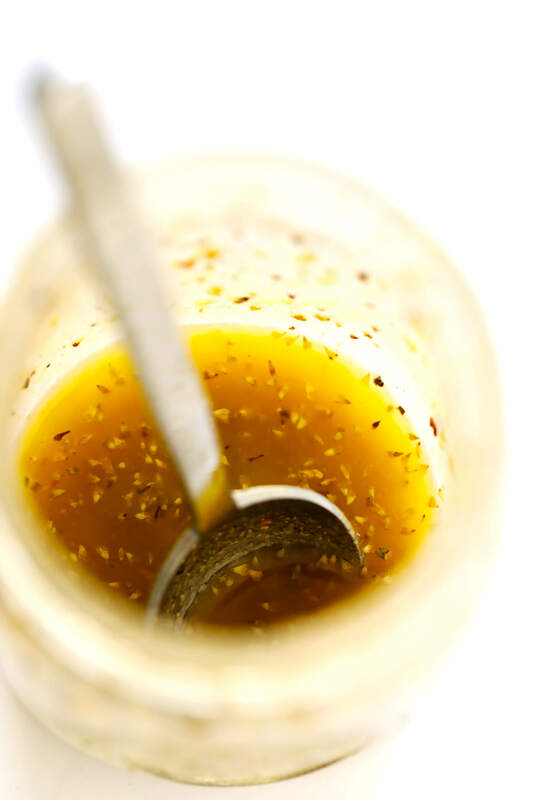 Especially when made with this super-simple Italian vinaigrette. And especially when you go big on the Parmesan (which I wholeheartedly recommend you do). That said — like all of the side salad recipes that I’m sharing this week — this Italian salad is 100% customizable with whatever ingredients you love best. 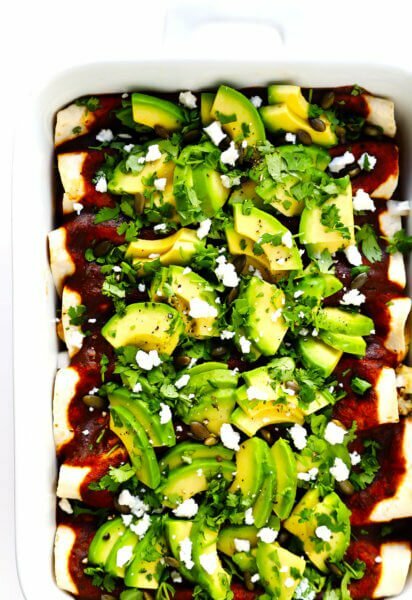 So feel free to get creative and clean out the fridge and make this recipe your own! I’ve also included tips below for how to make it gluten-free or vegan, if you would like. And if you feel like adding in some extra protein (such as chicken, steak, shrimp) or beans (such as chickpeas), this side salad can easily transform into a hearty entree too. We make some version of this salad pretty much every time we make Italian food in our house, and it always hits the spot. So if you were also a fan of the OG back in the day, or if you’re just looking for a tried-and-true Italian salad recipe to add to your repertoire, bookmark this one and give it a try! Veggies: I kept things simple with just red onion and sliced pepperoncini peppers. But feel free to add in extra salad veggies that you have on hand! Tomatoes: Any kind of fresh tomatoes would be great, or feel free to add some sun-dried tomatoes instead. 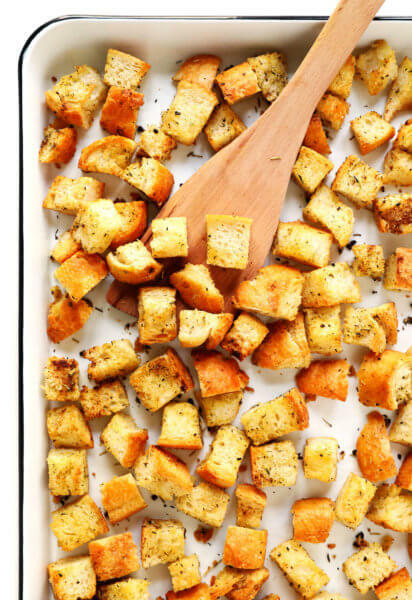 Croutons: Feel free to use any leftover bread that you have on hand to make a batch of homemade croutons. Or you can totally use store-bought croutons as well. 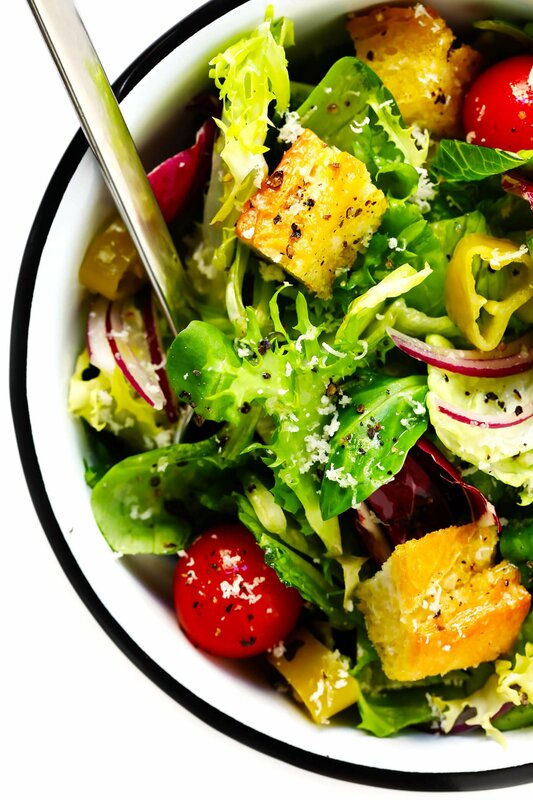 Parmesan: The more the merrier in this salad, if you ask me! 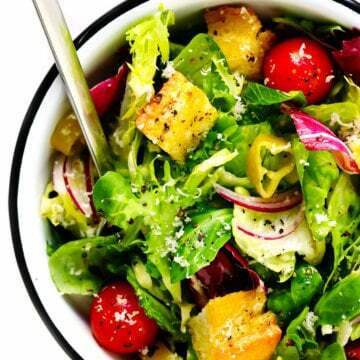 I love tossing some into the big bowl of salad, plus grating extra on top of the individual salad servings as well. (Optional) Nuts: We love adding a handful of toasted pine nuts into this salad too. Italian Vinaigrette: A pantry-friendly combo of olive oil, red wine vinegar, Dijon, garlic (or garlic powder), dried oregano, salt and pepper. Add a protein: Cooked chicken, steak, pork, shrimp, salmon, or tofu would all be great in this salad. Add beans: Chickpeas, white beans or even kidney beans would be a delicious source of extra protein too. Add extra fresh veggies: Such as cucumber, bell peppers, radishes. Add extra jarred veggies: Such as artichoke hearts or roasted red peppers. Add olives: Any Italian olives that you love. Add fresh herbs: If you happen to have any fresh basil, oregano or rosemary on hand, chop them up to add to the vinaigrette for extra fresh flavor. 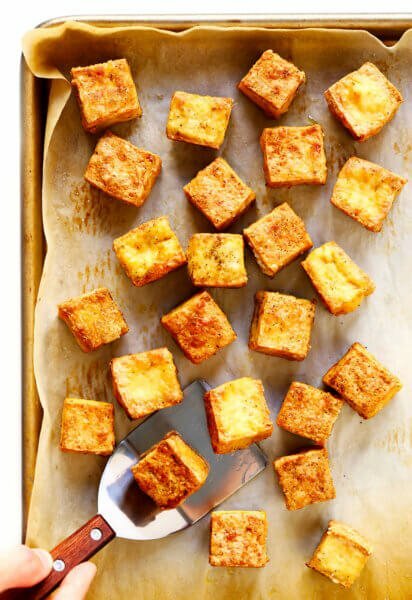 Make it gluten-free: Just use gluten-free bread to make your croutons (or nix the croutons altogether). Make it vegan: Omit the Parmesan cheese and add in a sprinkle of nutritional yeast instead. This simple Italian Salad recipe is quick and easy to make, tossed with an Italian vinaigrette, and can easily double as a side salad or main dish. See notes above for possible ingredient variations. 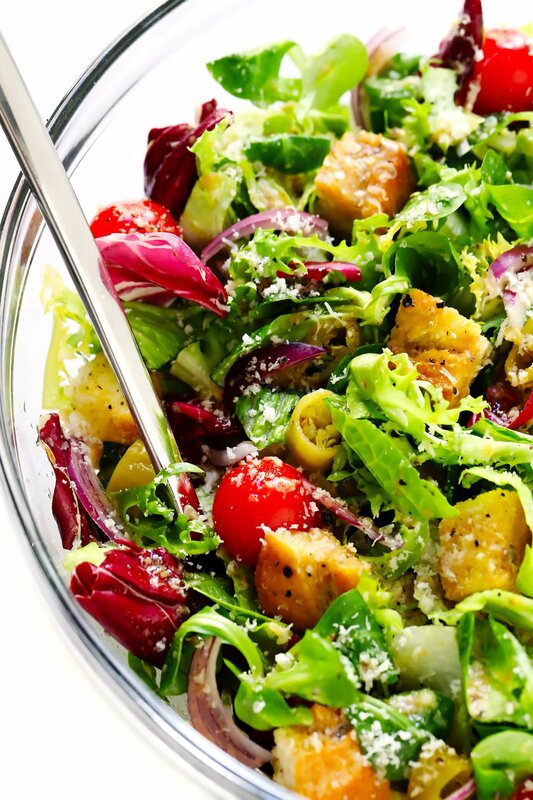 To Make The Salad: Combine all ingredients in a large salad bowl, drizzle evenly with the vinaigrette, and toss until evenly combined. Serve sprinkled with extra Parmesan cheese and enjoy! Recipe inspired by The Olive Garden. Hi. I,m Italian, even though I was born in Australia. I have lived in Italy for the last 38 years. I’m glad you enjoy italian salads but please be aware that Italians never EVER garnish their salads with grated parmesan cheese!! Funny how americans think that adding parmesan to a dish makes it typically italian or like adding garlic or peperoncino! Most italian dishes are quite bland actually…garlic is used sparingly and many italians in fact hate it. Just wanted to point this out. You should come over to Italy and taste the real things!! 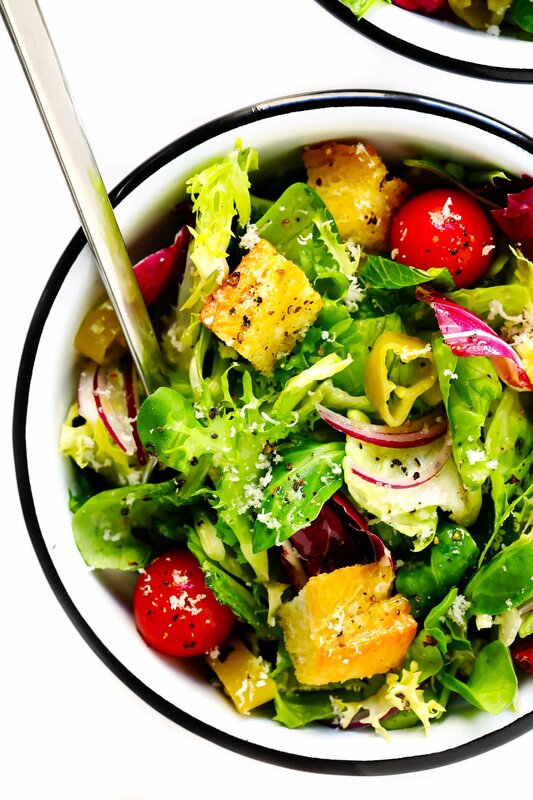 I’m loving these everyday salad recipes! Especially the italian, with a small batch recipe – anytime I try to make italian dressing I end up with way too much, too many ingredients, so I’m looking forward to trying this one! Is this ‘serves 4’ as a main or side?